State Fair of Texas FREE Blue Bell Ice Cream/ Dr. Pepper Floats on Wednesdays! 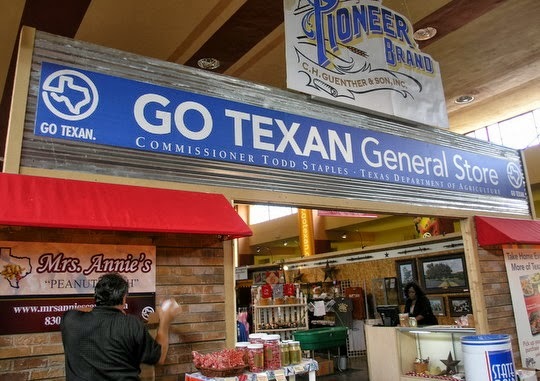 The Food and Fiber Pavillion has to be one of our family’s favorite exhibit halls to visit during the State Fair of Texas. This is where “the fun happens” according to my kids because of all the free food samples and goodies. If you are visiting the State Fair of Texas on Wednesday’s, be sure to stop by the Food & Fiber Pavillion from noon -2p.m. for Blue Bell’s “Have A Float Day” and receive a FREE Blue Bell Ice Cream and Dr. Pepper float! Sounds delicious! Previous postSpecial 50% Off Early Bird Ticket Offer to see ICE! The Nutcracker at Gaylord!